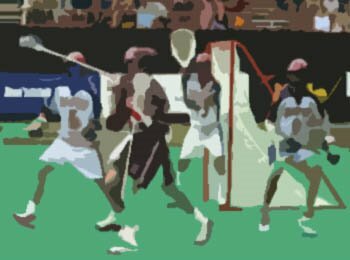 Tons of FREE lacrosse instructional VIDEO STREAMS ... Get your learn on. "Your the best ! ...arrrooouuunnnd !...nothing's going to ever keep you down..." Another lacrosse highlight video reel. [Youtube] Soundtrack for this one is a little scary ... yet so inspiring.